Have you ever built Blinking LED Circuit? 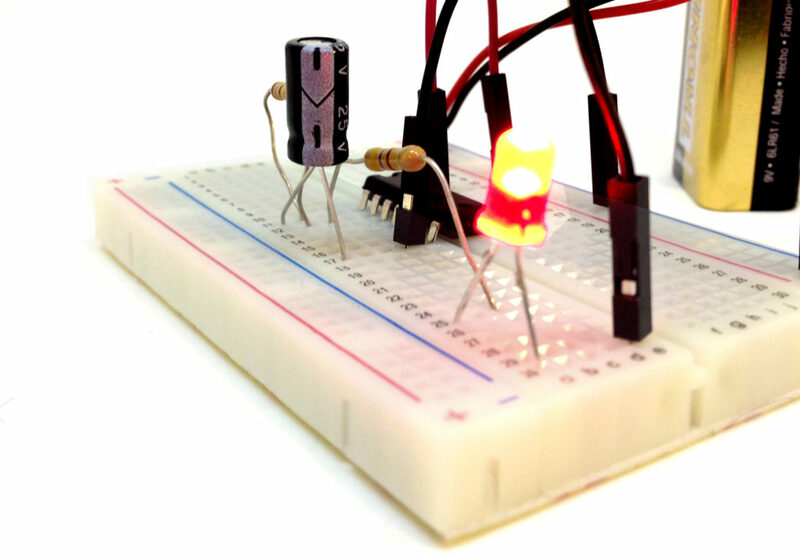 The blinking LED circuit is like the electronics version of the “Hello World”-program. It’s a simple electronic circuit that gives you a visual cue if it works. It was the first circuit I ever built, and it felt GREAT! The goal is to make a Light Emitting Diode (LED) blink. 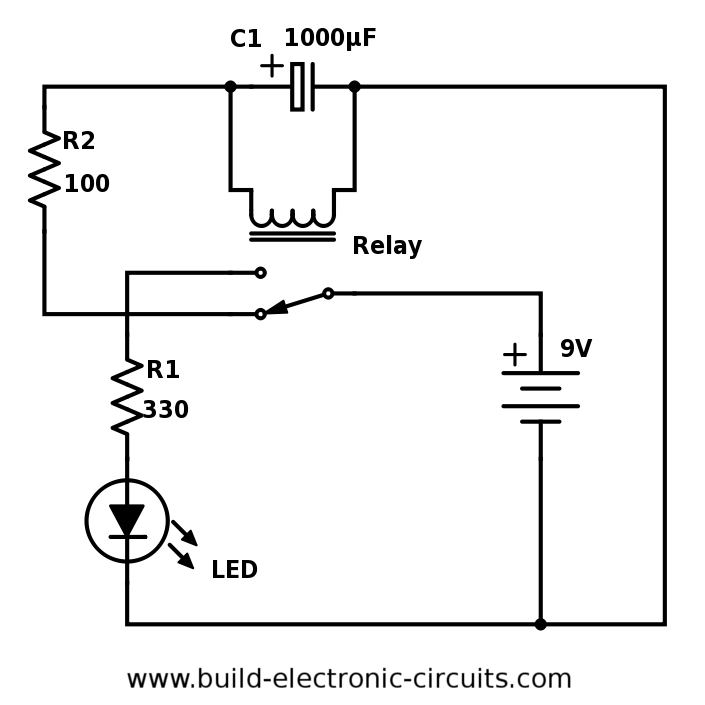 There are several ways of making a blinking LED circuit. You can make one using relays. You can make one using transistors. Or you can make one using components like an inverter, a 555 Timer or a microcontroller. In the above circuit you see a battery, a relay (in the red square) and a light bulb. 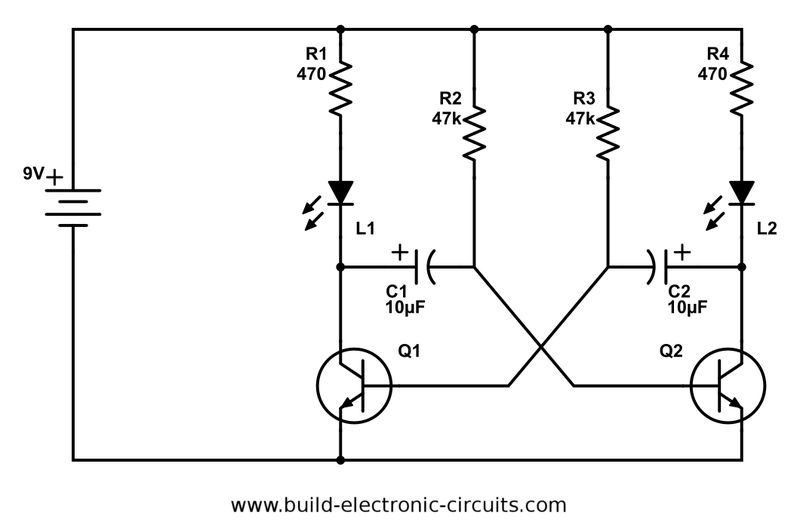 To understand the circuit you need to understand how a relay works. 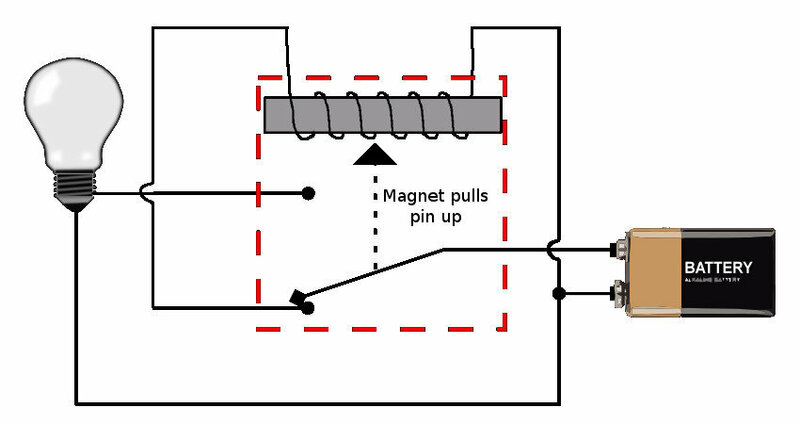 When the relay coil has power, the switch will disconnect the power from the electromagnet and connect the power to the light bulb instead so that it will light up. But when the relay no longer has power, it will switch back and turn off the power from the light bulb and give power back to the electromagnet again. Then the cycle starts over. The problem with the circuit above is that it will switch so fast that you won’t actually see the light blink. To solve this problem you can introduce a time-delay using a resistor and a capacitor. When you apply power to the above circuit, the battery starts charging the capacitor through resistor R2. After a moment, the relay coil pulls the relay into the other position. This makes the LED turn ON. Because the capacitor now is charged, it will hold the relay in this position. But the capacitor only has enough energy to keep the electromagnet in the relay powered for a little bit before it’s empty (or discharged). When the capacitor is out of energy, the relay goes back into its original state and turns the LED OFF again. Then the cycle repeats itself. For this circuit with the above component values I recommend the KY66-G2RL-24-DC24 relay or a similar one. The circuit for blinking an LED using transistors is called an Astable Multivibrator. To understand this circuit you need to know how voltages and currents behave around resistors, capacitors and diodes (which is something you can learn in Ohmify). The two capacitors C1 and C2 will alternate between being charged and discharged and thereby turning the transistors ON and OFF. When a transistor is ON it allows current to flow through it so that the LED above it will light up. I find this java applet really helpful in understanding how this circuit works. This is probably the easiest blinking LED circuit when it comes to number of components: You only need three components for the blinking part! But you need the resistor and LED to be blinked too of course. I built the circuit around an inverter. An inverter is a logical component that outputs the opposite of what it gets in. If it gets a high voltage in, it gives a low voltage out. And vice versa. A high voltage is a voltage close to the supply voltage. 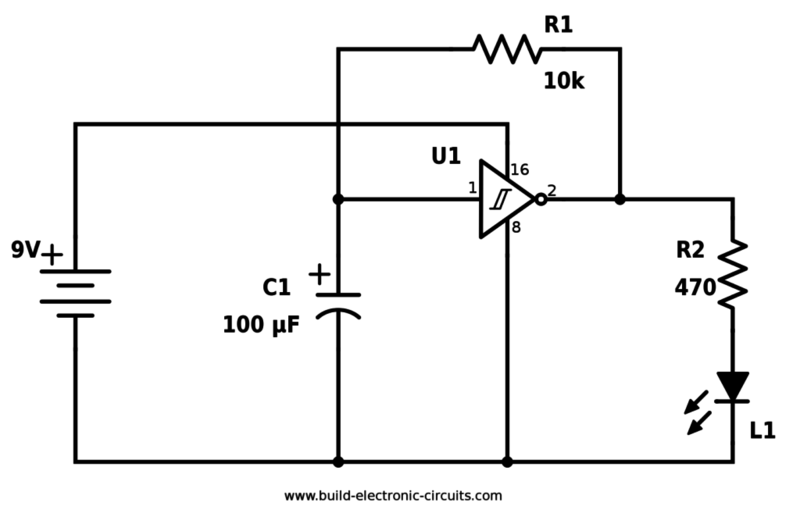 A low voltage is a voltage close to zero volts. So it will keep jumping between high and low. To slow down the jumping back and forth, I’ve used a capacitor on the input of the inverter. The resistor R1 controls how much current that goes back to charge the capacitor on the input. The size of the resistor R1 and the capacitor C1 will therefore determine the blinking speed. The inverter I used is a Schmitt Trigger Inverter. Schmitt Trigger just means that the threshold for switching from high to low is different from the threshold for switching from low to high. Now, you’ve read about ’em. It’s time to start building! Find the parts you need at one of the online shops, order them and build. 9 Circuits is an eBook that will help you become great at building circuits. It has nine circuit-building challenges you’ll have to overcome. And you’ll get to build things like a game, a homemade musical instrument and a cookie-jar alarm. The projects range from easy to medium and they’re suitable even for complete beginners. For each circuit I’ve created a web page where you can get help with the circuit if you’re stuck. I’ve also developed a component kit that has every component you need for building all the circuits in the book. 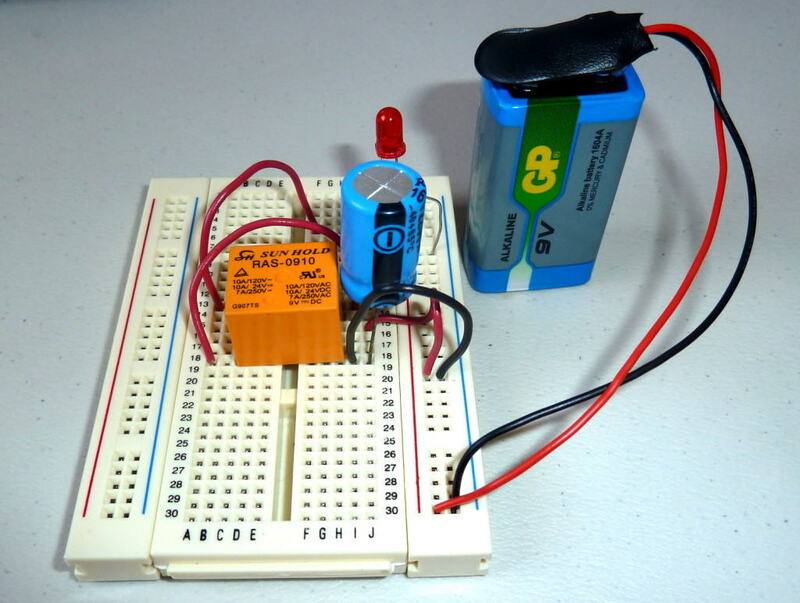 Have you built a blinking LED circuit from this article? Let me know in the comment field below. Re: Have you ever built Blinking LED Circuit? Want to inquire about the information you have published that I can study myself or do you have good advice for me? Thank you for publishing this online for all to use. Can I place two additional LEDs in parallel (one additional for each side of the circuit so that I end up with alternating pairs) without having to modify any part of the circuit or increase the input power?